In an exciting development, Tibet Fund has been awarded a $2 million grant by the U.S. Agency for International Development (USAID) to implement USAID’s Tibet Education Project. At a time when Tibet Fund looks to replace its recently-departed Executive Director, this grant presents a major opportunity but also a challenge. How Did the Tibet Education Project Start? No discussion of U.S. government action on Tibet can ignore the primary role of His Holiness the Dalai Lama, who is the bedrock of Tibet’s bipartisan support. This specific 2009 funding bill was also a major success for the International Campaign for Tibet (ICT), as well as other U.S.-based Tibet groups. ICT, Students for a Free Tibet, U.S. Tibet Committee, and Tibetan associations across the US have made enhanced U.S. Government funding a prominent part of their annual “Tibet Lobby Day” campaign for a number of years, and of course ICT is a constant advocate for Tibet in Washington. According to ICT, the Tibet Education Project developed out of the 2009 Congressional funding commitment. ICT states that the Central Tibetan Administration (CTA) was consulted in the Tibet Education Project’s design, and U.S. Special Coordinator for Tibetan Issues Under Secretary Maria Otero guided the project to its launch phase. Critically, Under Secretary Otero gained first-hand knowledge of the needs of the Tibetan settlements in India thanks to a historic visit there in February 2011, facilitated by the CTA (then led by Samdhong Rinpoche) and ICT. Perhaps confusingly, the $2 million for the Tibet Education Project is related to – but separate from – the $2 million earmarked by Congress in 2009. Instead, the education funds came from separate revenues already within the control of the Executive branch (specifically the State Department, which oversees USAID). The State Department cited the 2009 Congressional action as a basis for its action. Thus, the $2 million for education appears to be the first time that a new Tibetan aid program was initiated in the Executive Branch, rather than Congress, demonstrating the institutionalization of the support for Tibetans within the U.S. Government. Sikyong Lobsang Sangay has played a notable role in the State Department’s decision to direct funds toward Tibetan refugee education. His administration also provided input in the design of the State Department program. Sangay has declared education his administration’s “number one priority”, something many people (including us) supported. In his visits to Washington DC, he lobbied Members of Congress for “funding that will help young Tibetans in exile receive an education in India and Nepal”. Therefore, Sangay’s role in directing these incoming funds towards education should be applauded. According to USAID, the wining NGO will be expected to “work in close coordination with the Central Tibetan Administration (CTA) to support Tibetan refugees in India and Nepal to acquire educational skills and knowledge”. An Opportunity and a Challenge for Tibet Fund? Tibet Fund has now won the USAID competition, and has been selected as the NGO to administer this program. This $2 million grant will be a significant addition to its budget, which totaled $8 million in 2010. Tibet Fund has a long track-record of development work in the Tibetan refugee communities in India and Nepal, as well as in Tibet. Clearly, the Tibet Education Project is a tremendous opportunity, and speaks to USAID’s confidence in the capacity and professionalism of Tibet Fund. Furthermore, all the parties involved should be congratulated, including those who secured the funds in 2009, and those who secured the education funds more recently. There is, however, one issue that we believe merits close observation. Tibet Fund has recently lost its Executive Director, Robyn Brentano. Although the head of Tibet Fund still remains President Rinchen Dharlo, a former Representative of His Holiness at the Office of Tibet NY, the organization is now without an Executive Director, and the question of who will be hired for this critical position at this critical time will be of significant interest to its wide range of stakeholders. 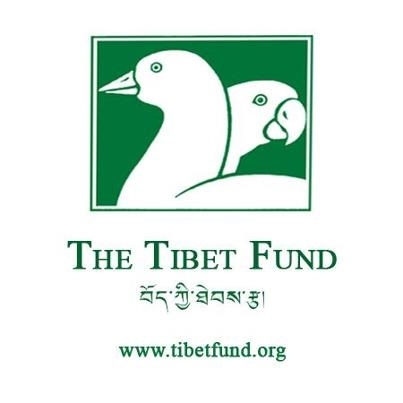 Tibet Fund plays a unique and critical role as an organization that is close to the Tibetan community, yet is also an independent, non-profit NGO able to tap into resources that the CTA might not. As the Tibet Fund selects its next Executive Director, we have little doubt that the organization will consider how its new leader will contribute to the organization’s professionalism, transparency, and independence as well as its core mission. We look forward to wishing Tibet Fund’s new Executive Director well, whoever he or she is.